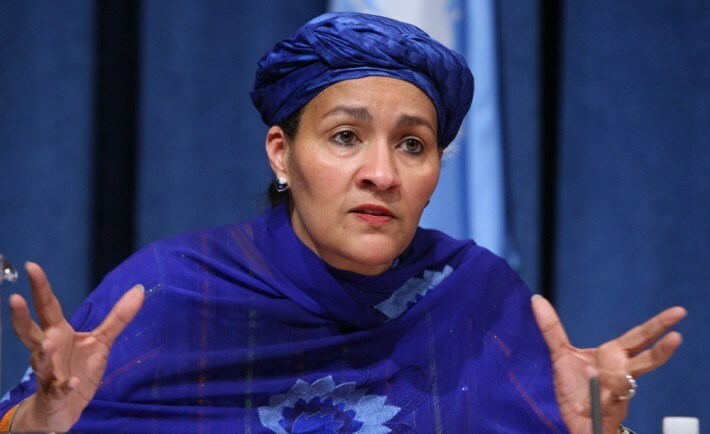 Amina Mohammed, has stated that the efforts of Ngozi Okonjo-Iweala, the two-time Minister of Finance has been put to waste as the country is now back to being indebted. She is the Deputy Secretary-General of the United Nations, UN. Speaking at the International Monetary Fund, IMF, and the UN ‘working together conversation’ last Tuesday, the former Nigerian minister of environment expressed her worry on the rising level of debt in Nigeria and the rest of Africa. “Public resources are always going to be important, and so are the ODA and the private sector. But I think we still haven’t yet got quite the solution, and I hope that the work that we do together will open up that space to think more on how to leverage that. “As I was coming up from New York, some of the concerns that came up from the meeting we had in China just recently and reports that we have like the debt issues are really big, I mean, having experienced what it was for Okonjo-Iweala to get debt relief. “It took her a few years to convince people, and we are now back again in my country with a level of debt that is worrying, but it’s happening all over Africa. Is that the way we want to go? “I think we really need to sit down and have a better conversation about growing the economy, its inclusiveness and success, because stability is needed more than ever today, across our countries and where we are working on that,” she stated.